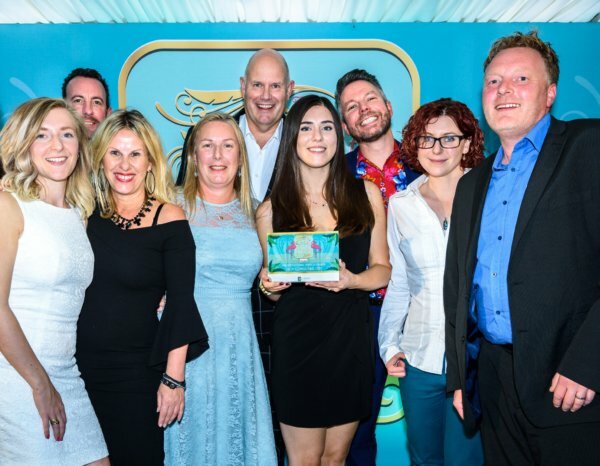 The BAHBA ceremony, organised and hosted by Midnight Communications, is held annually to acknowledge business diversity and to celebrate those companies, organisations and individuals that help build the Brighton brand. This year we were shortlisted for both the Business in the Community Award and the Professional Services Award. Despite the tough competition, we were honoured to receive the Professional Services Award and then delighted by the judges who announced that we had also won Best Business of the Year. The Professional Services Award, sponsored by Cardens Accountants, aimed to recognise a business in Brighton who provides unrivalled service and expertise to its customers. We are truly honoured to be given this award and we’d like to thank our MD Jon Orrell, for establishing an inclusive work culture that drives innovation, passion and collaboration. We would also like to thank the entire HOP Team who work together to deliver solutions to our clients. Although HOP has now grown to be a national and internationally recognised firm, we are proud to be based in the thriving city of Brighton & Hove. The Best Business of the Year was awarded to the business they felt stood out above all others on the final shortlist. Receiving the award, which was the most sought-after accolade of the night, was an unexpected surprise and we couldn’t be prouder of all our entire HOP Team. Because of the work we do, the way we do it, together with the work/life balance we cultivate, we are delighted to attract skilled and loyal employees and we wouldn’t have collected these awards without them. HOP Consulting is one of the unsung heroes of our city. This company provides excellent support to school leavers, as well as local charities and community projects, and have been substantially involved in the building of modern Brighton. Indeed, their name is not as well-known as some of the projects with which they have been involved. Projects such as The Amex, the i360, Brighton Wheel and Brighton Pier. We think they are the “secret backbone” of Brighton.